Not every event in life is part of a plan; sometimes things just happen. We call it serendipity – and it was certainly involved in the career of Bas Maas, guitarist with Germany’s figurehead of metal, Doro. His older brother had an old guitar hanging on his wall that he’d picked up at a flea market. Bas was so fascinated by the instrument that the next day, he took his first tentative steps in learning to play it. An older friend showed him what to do with all those strings … and at the age of 16, Bas was playing on stage. At that time he hadn’t started listening to metal, let alone playing it; his repertoire consisted of classic rock songs from the 70s and 80s. 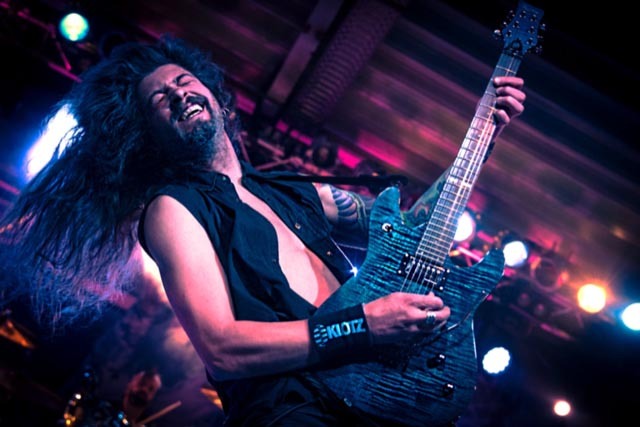 During his teacher training studies Bas met Sander Gommans, guitarist with the Dutch metal band After Forever, and went on tour as Sander’s guitar roadie. When the second guitarist’s spot fell vacant after two years he accepted without hesitating, and spent the six years from 2002 onwards on tour with After Forever. The band split in early 2009, but it wasn’t long before Bas was contacted by Doro Pesch. He started out as a fill-in on the Endland tour but soon advanced to being a fully-fledged member of the band. As a live musician who tours extensively and often, Bas knows that sound isn’t the only thing that’s important; reliability, too, is critical when equipment has to be chosen. 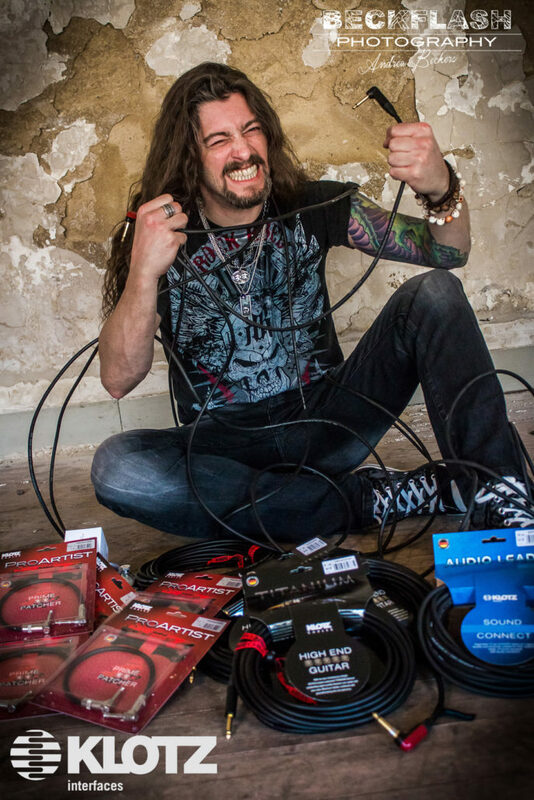 Despite testing numerous wireless systems over the years, Bas has always come back to using good old guitar cables. 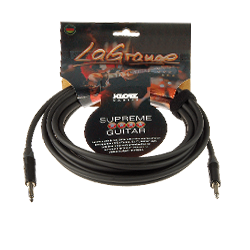 Cables are completely free from drop-outs and deliver a richer, fuller sound – even over longer cable lengths of up to 15 m.
For Bas, the cable of choice is the ultimate classic from KLOTZ: the LaGrange cable.